I replaced all the tubes in my Rocker 30 head a few years ago when the output tubes went downhill. I chucked the stock tubes without looking at what they were. 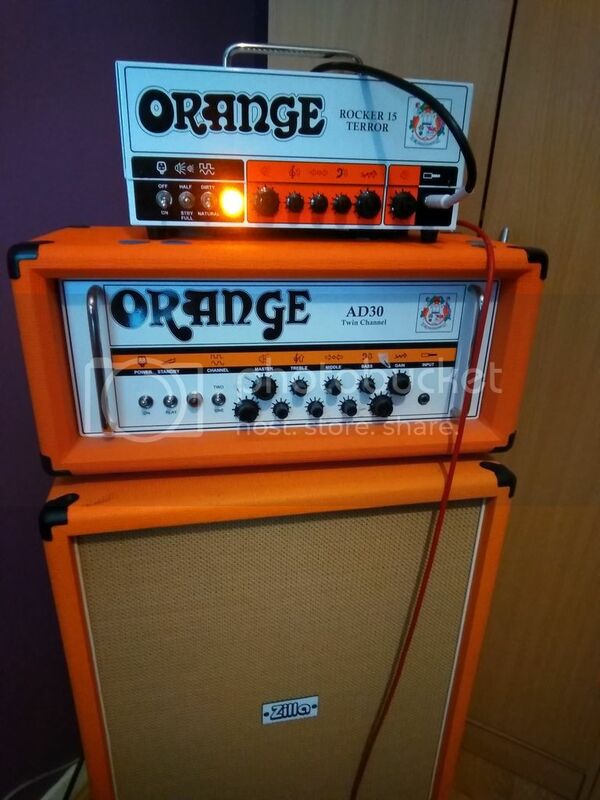 I'm a lot more interested in tubes than I was back then and was wondering what came stock with the amp? Re: What Tubes came stock in the Rocker 30? All my Orange amps either came with JJs or Rubys and my understanding is Ruby are just rebranded JJ valves. At the start I believe they were shipped with EH 6AC7, then JJ EL34. I've had JJ EL34 and Tung Sol EL34 in mine, both ace. Thanks, would they have come with matching brand preamp tubes? Definitely... Frequency Chinese valves or PM valves but I've also seen JJ pre-amp tubes. JJ power tubes frequency come in Orange amps. Mine came with the EH 6CA7 power valves, but JJ preamps. (2006 amp from memory.) Mixing and matching brands is fine, especially in the preamp. Best to stick to one type of power valve though and try to get them reasonably closely performance matched. Nice to read you! Hope life is treating you well! How are your OR120 and R30? Still keeping you entertained?